Lisa Hight is our Patient Care Coordinator. Raised in Palos Verdes, Lisa found her personal utopia in El Segundo and has made it her home for the past 3 years. 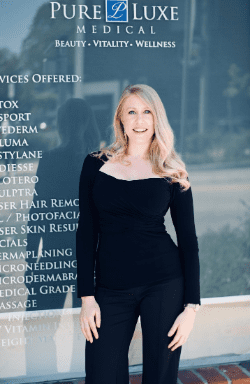 Her professional background includes working as a Spa Manager at The Ritz Carlton, Marina del Rey and Practice Coordinator for Dr. David Sayah MD, FACS in Beverly Hills. Lisa’s passion is people, and she goes above and beyond to exceed her patient’s expectations. A proud Sun Devil Alumni, Lisa’s educational background is in Criminal Justice—she hopes to one day start a non-profit that focuses on juvenile justice and reform.